If you have been following the Home Capital Group (TSX:HCG) scandal for the past few months, you will know that the company was near bankruptcy and without a bailout, would be something of the past. The stock has dropped from $27 per share in March to $6 in April. Since then, the stock has been going up slowly and today (June 22) it jumped 25% to $18. Guess why? The Oracle of Omaha. Warren Buffett. Warren Buffett has been known to bailout major business with a massive ownership in them (think of Goldman Sachs Group Inc. to Bank of America Corp). Well, today, Buffett did it again and investors just had an early Christmas! What does this have to do with me you ask? Well, I bought numerous shares of Home Capital on May 8th. From then until May 16th, I day traded this company alone and made a KILLING. The thing is, I am not a fan of day trading, but a unicorn is a unicorn. Prior to day trading it, I looked at the fundamentals and I had a Warren Buffett moment. I saw the book value of $25 and knew that the storm would soon be over. Unfortunately, I didn’t stick to my practices that had been working for me for the past three years. Instead, I made my money, cashed out, and called it a day. Coincidentally, I advised my girlfriend yesterday to invest in Home Capital because of the book value and various other fundamentals that I saw. 24 hours later, I get a text from a close friend of mine telling me to look at Home Capital. And guess what? 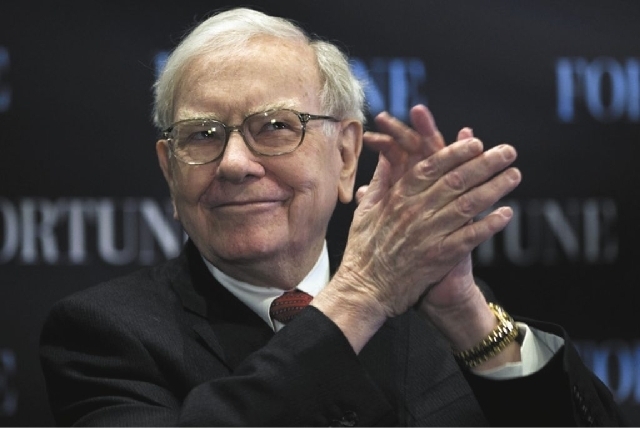 Buffett bails out Home Capital and the stock jump UP 15 PERCENT BEFORE 11 am. By the end of the day, the stock was up 25% and my girlfriend made even more in capital gains. While typing this up, it was 3:55 pm. I just bought a ton of shares at $19 a pop. Why? Because the Oracle has touched it. It is much higher than the $6 share price I bought a little while ago, but I know a good play when I see it. I will not hold on to this stock forever. I will dump it at $25, which is the book value. I will not hold it because the real estate market will implode and so will the stock price. What can you guys learn from this? Stick to your plan and gut! Sometimes you are right about things you cannot fully explain. Like Buffett says, be fearful when others are greedy and greedy when others are fearful.